The College of Coastal Georgia values the contributions international students make to our campus community. International students provide the College with a diverse population through which differences in race, ethnicity, religious conviction, and cultural background may be celebrated. You are currently living outside the U.S. and will require an F-1 visa to study in the U.S.
You are currently in the United States on another non-immigrant visa classification, which permits part-time or full-time study. Please see our Application Instructions for more information on procedures and requirements. International students with F-1 visas are required to take a full course load (12 credit hours) in both the Fall and Spring semester. 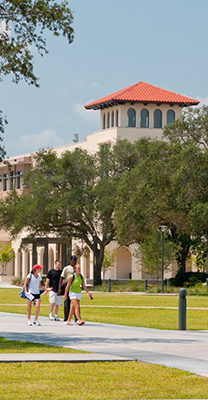 The College of Coastal Georgia reserves the right to admit an international student who is (a) academically qualified; (b) has proven his/her ability to meet the financial requirements while in attendance; and (c) has qualified for the appropriate visa type. As a residential campus, international students are offered an opportunity to Apply for Housing at least 60 days prior to attendance.